Select the "Help" - "Purchase" main menu item, click the "Register" button. Enter the registration name and key from the message with your registration information, click the "OK" button. 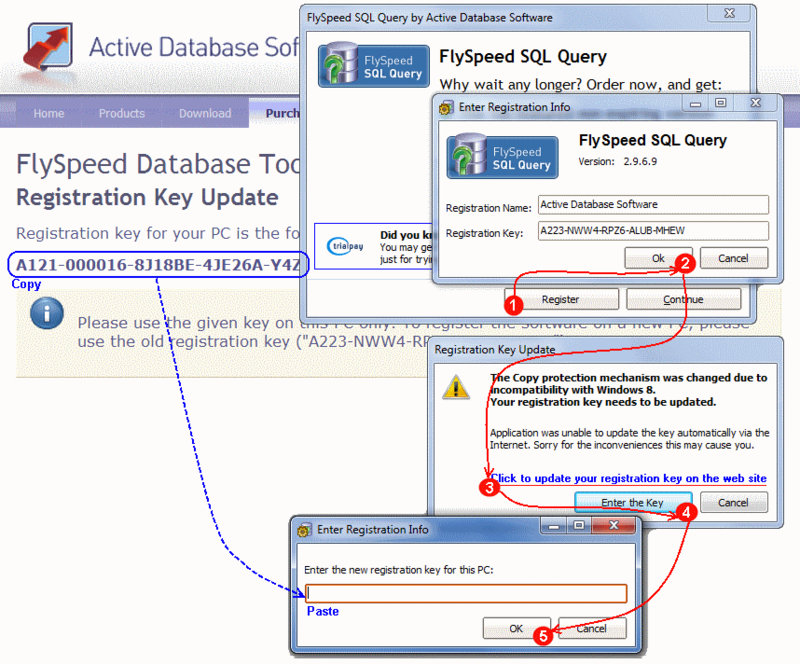 The software will update your registration key automatically online. In the case of success, you will be prompted about the successful registration and the process will be finished. Click the "Update your registration key" link and check the opened web page. Copy the registration key from this page and get back to the tool. Click the "Enter the Key" button, paste the key from the web page to the edit box, and click the "OK" button. If taking the steps above won't help you, please submit a support request and describe the problem in detail.